Welcome to the website of Faringdon & District U3A. We hope that you will find much to interest you, whether you are already a member or merely browsing. Faringdon U3A has been in existence since 2002 and currently has about 500 members. We think we offer something for all who are eligible to join us – anyone who is not in full time employment. We have a total of approx 45 interest groups, ranging from Astronomy to Art History, Bridge to Spanish and Family History to Opera. 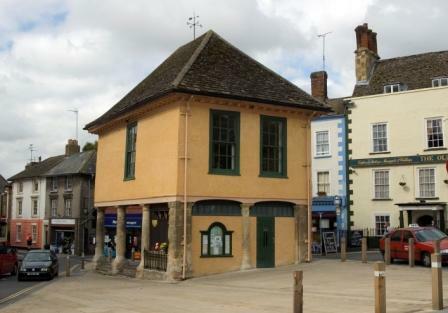 We also have monthly meetings in the Corn Exchange, Faringdon which offer the opportunity to hear fascinating talks as well as the chance to mix with other members. Our Newsletter is published every three months and contains up to date news of the activities of the Committee and Interest Groups as well as details of forthcoming monthly talks. Much of this information can also be found on this site. We are affiliated to the Third Age Trust, our parent body, but have our own constitution . Information about National activities that may be of interest to members, such as Summer Schools, Shared Learning Projects and other joint activities can be found here. In addition we have over recent years enjoyed our association with the Thames Valley Network of U3As. Information on forthcoming activities received from TVN can also be found here. This is a new and developing website and our hope is that members and, in particular, Group Leaders will become used to providing us with material to improve and enhance the information provided. If you need help navigating the site, particularly using the menu bar at the top of the page, please click here or on the Help button on that menu bar. The next monthly meeting will be on Thursday 9th May 2019. Please see details of all monthly meetings here.